This book is about change in Central and Eastern Europe, and about how we think about social and economic change more generally. In contrast to the dominant 'transition framework' that examines organizational forms in Eastern Europe according to the degree to which they conform to, or depart from, the blueprints of already existing capitalist systems, this book examines the innovative character, born of necessity, in which actors in the post-socialist setting are restructuring organizations and institutions by redefining and recombining resources. Instead of thinking of these recombinations as accidental aberrations, the book explores their evolutionary potentials. 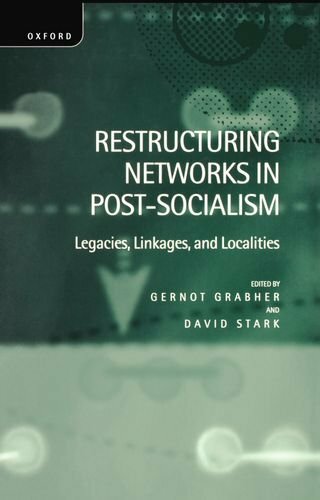 The starting premise of Restructuring Networks in Post-Socialist Societies is that the actual unit of entrepreneurship is not the isolated individual personality but the social network that links firms and the actors within them. Drawing insight from evolutionary economics and from the new methods of network analysis, leading sociologists, economists, and political scientists report on changes in organizational forms in Hungary, Poland, Eastern Germany, Russia, and the Czech Republic. View More In Commercial Policy.